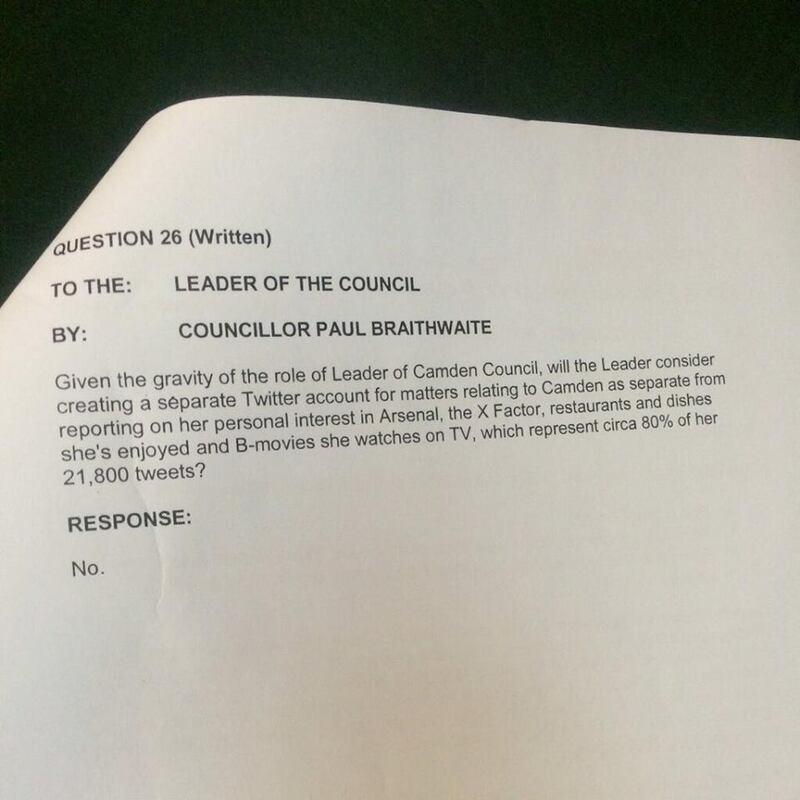 The Labour leader of Camden Council, Sarah Hayward, was recently asked about her Twitter use by a fellow councillor. Here is her brilliant response. You won’t be surprised to find that he has only tweeted about five times in the last month.